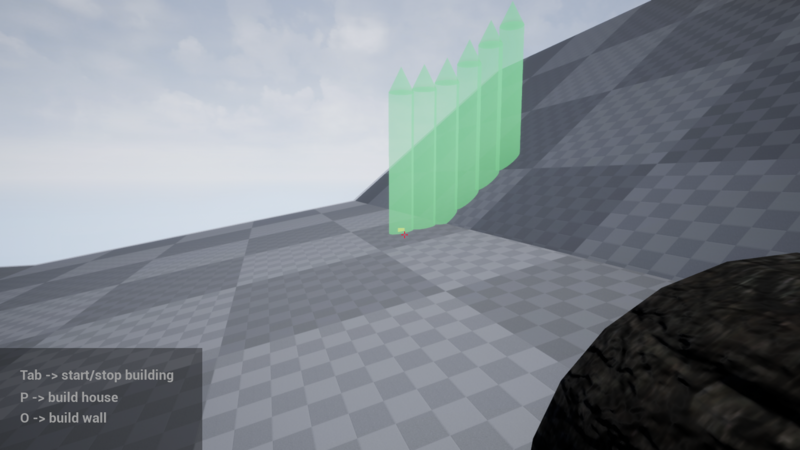 Unreal Engine Building System is a framework that will empower you with a building system like the one seen in “The Forest” game, allowing you to place structures around the world and carrying the materials needed to build them. Please, let me know what you think about the system and any suggestion you may have! Wooden Wall: Made of Wood Logs, each time you add a log you can see how it appears in the structure, with collisions enabled. Each wood log adapts it´s eight to the ground height. Campfire: Small structure made of three Stones and two Wood Sticks. 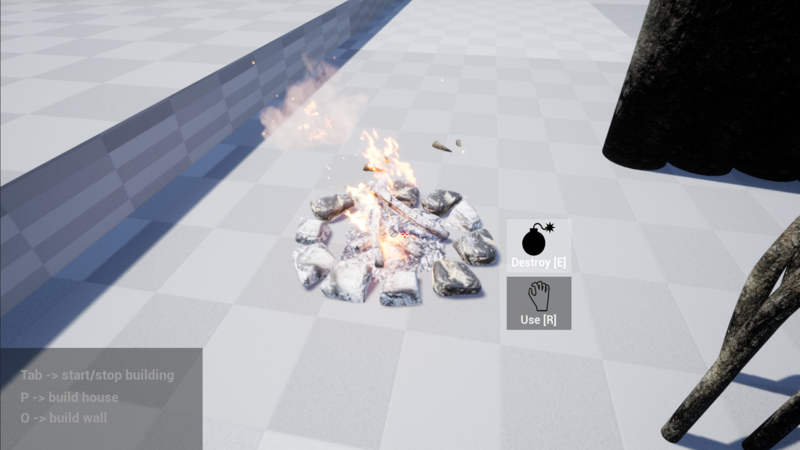 You can't see any difference when you add materials but upon completion it gets finished, with collision and with an extra interaction “Use” that lets you put it on fire. This structure also has ground alignment so it gets turned when build on an slope. Bridge: This structure has parts that gets visible when you add materials and parts that only becomes solid when you finish adding all materials needed. Made of Wood Logs. It can only be built in ravines, half of it must be place in ground and the other half must be “in the air” with no ground under it. 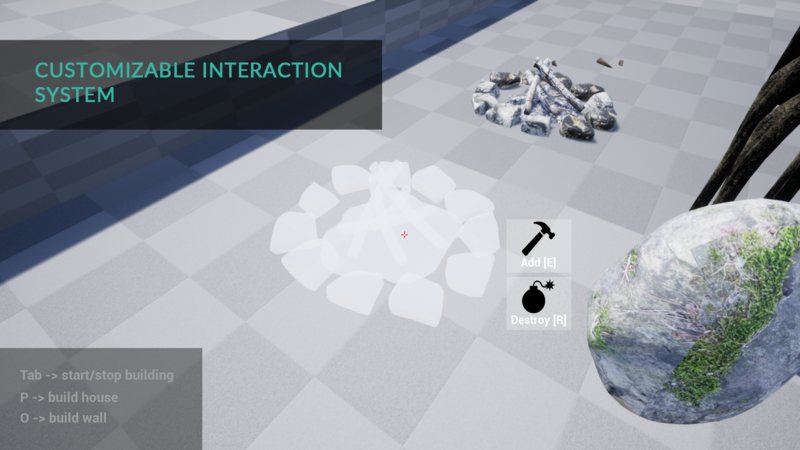 *** The framework doesnt have a real inventory, but there is an array that keeps track of all items you are carrying, in 4.8 and previous versions I was leaving it like that because you may want to develop your game on that way, but now, Im limiting the inventory max items in just 1 item at once. It´s EASY to remove this limitation. Can I build bigger structures? 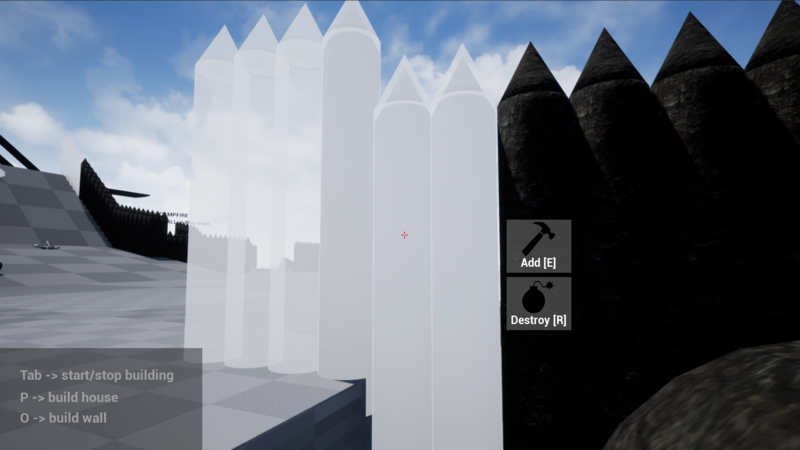 You should be able to modify it with easy to make the material to be added on the place you are looking at. 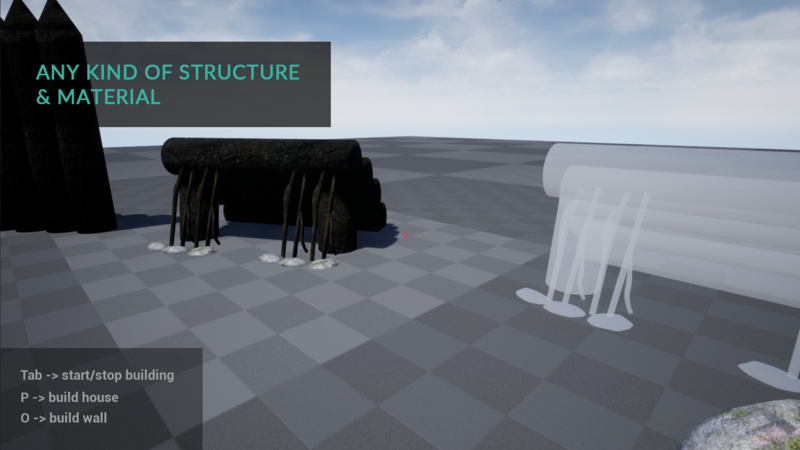 Can I make the structures have functionalities after being build? Yes! There is an example of campfire where you can bring it on fire after finishing building it. You can add as many interactions as you want to each structure. Does it works in online multiplayer? No, actually the system only works for single player. 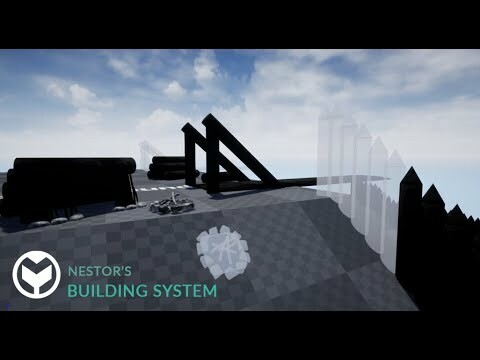 In the video I don't see effects, is it easy to add particles and sounds to different kind of events in the gameplay? 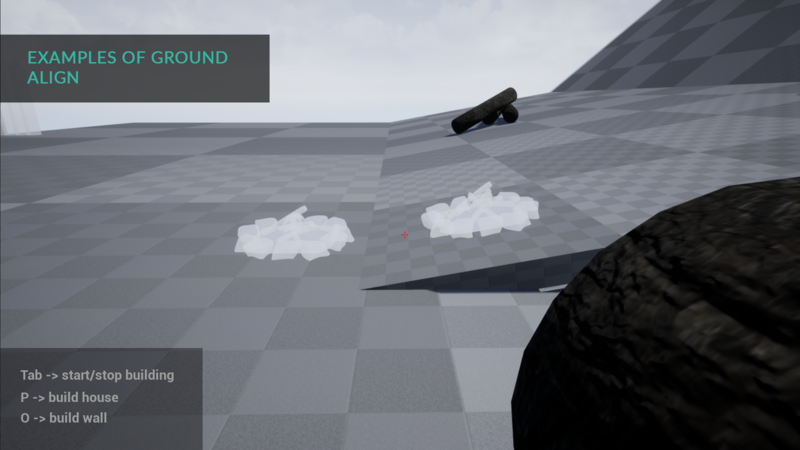 Yes, I tried to add a “Print String” on each place where you should place a sound/particle effect to represent when you add a material or so.